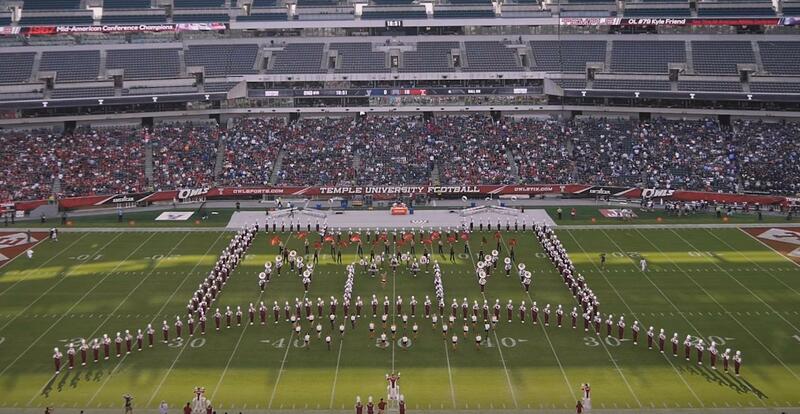 The Temple University Diamond Band continues their run of playing the music of artists that haven't been featured by most other marching bands and once again they struck gold. This time it was the music of rising superstar Ed Sheeran. The Irish singer and songwriter has some of the biggest hits over the last few years, but hasn't really gotten the full halftime show treatment...until now. Watch as the Temple Band plays songs from his album "Divide". And yes they had a dance breakout and yes it's awesome!